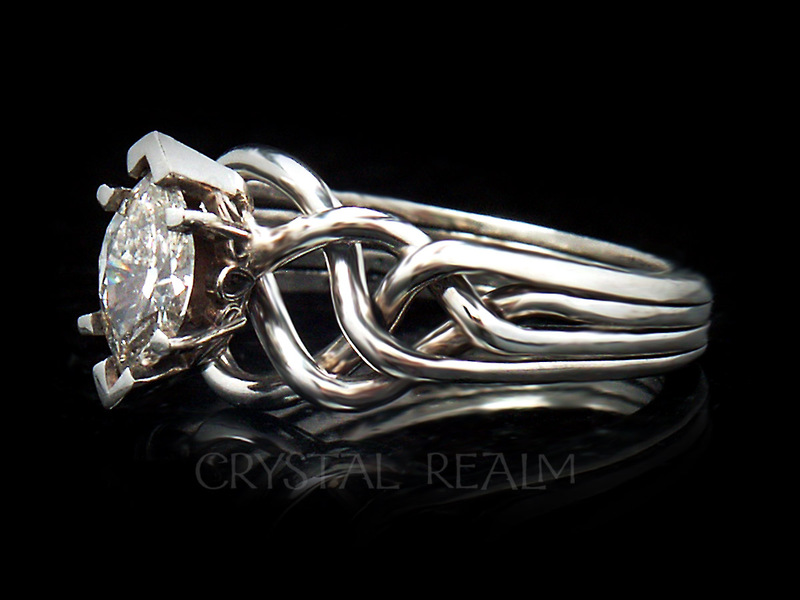 One of our simplest and most striking puzzle engagement rings is the Athena with a one-half carat round diamond, held beautifully and securely by a six-prong diamond setting. 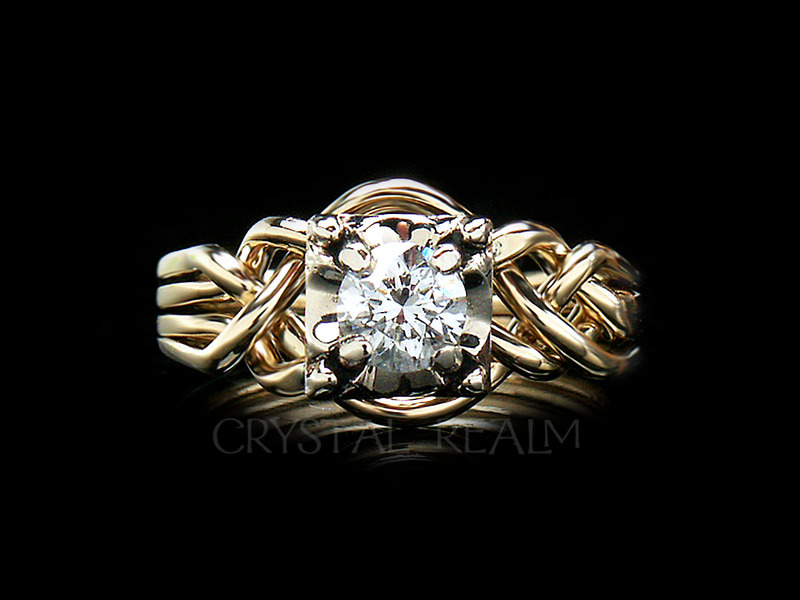 For the woman who appreciates a heavier ring than our typical medium-weight four-band puzzle ring, the Athena is lovely with a round, sparkling, one-half carat diamond, set with 14K yellow gold, as shown. 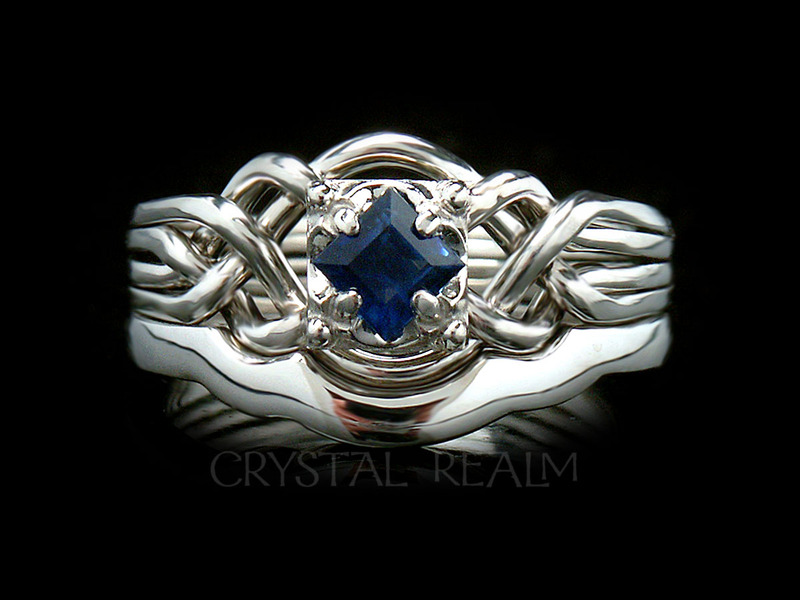 Your puzzle ring will be hand-woven, unlike the majority of puzzle rings which are cast. 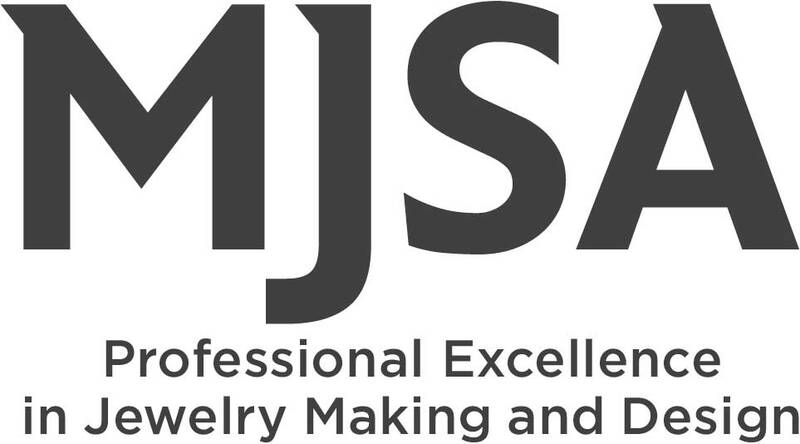 It is a true, working puzzle that comes apart and goes back together with our video, animated, and written assembly instructions under a link below on this page. 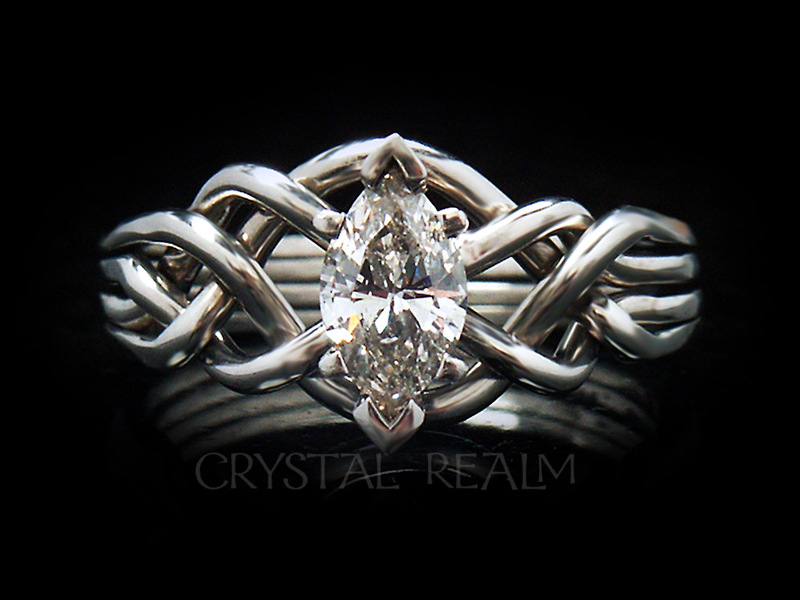 This ring is available in whole, half, and quarter sizes from 3 to 10.5. 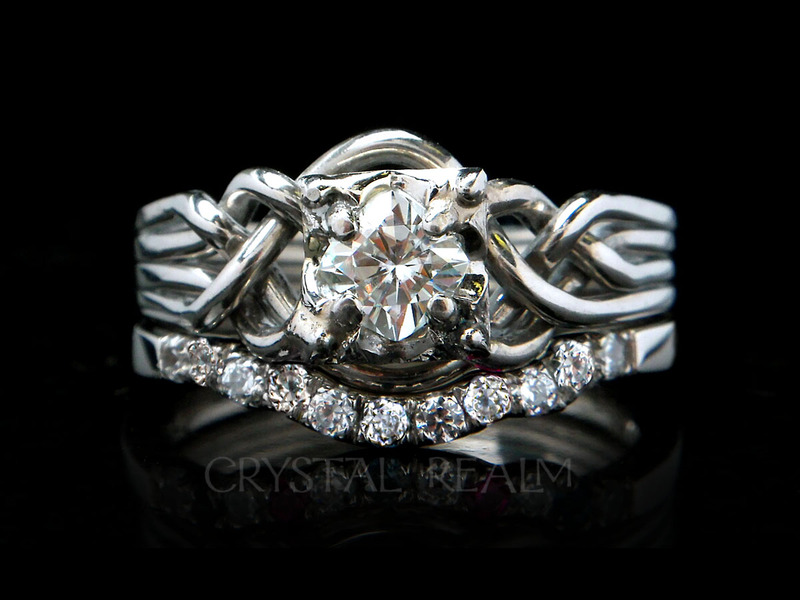 Other sizes are available by request. 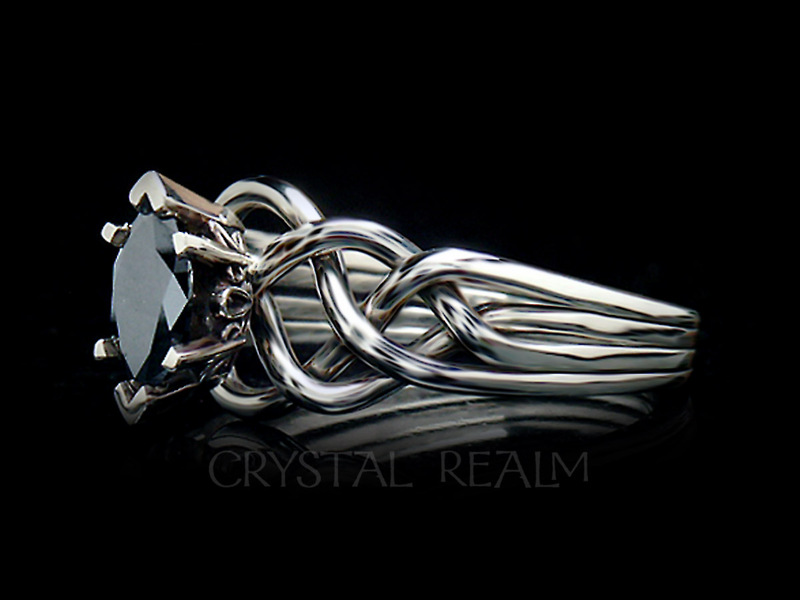 The puzzle ring is a medium-heavy weight, so it is suitable for wearing with medium-heavy wedding bands with a profile or depth of about 2mm. 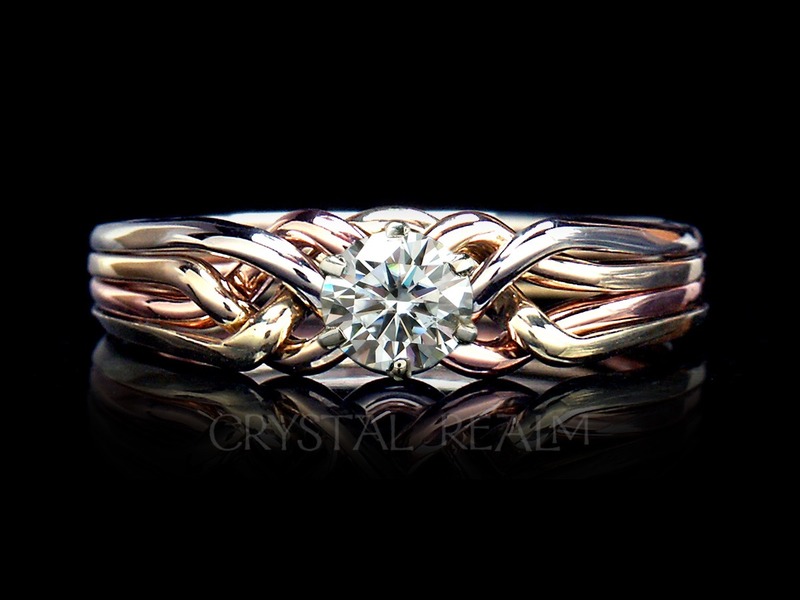 The metal shown is 14K yellow gold. 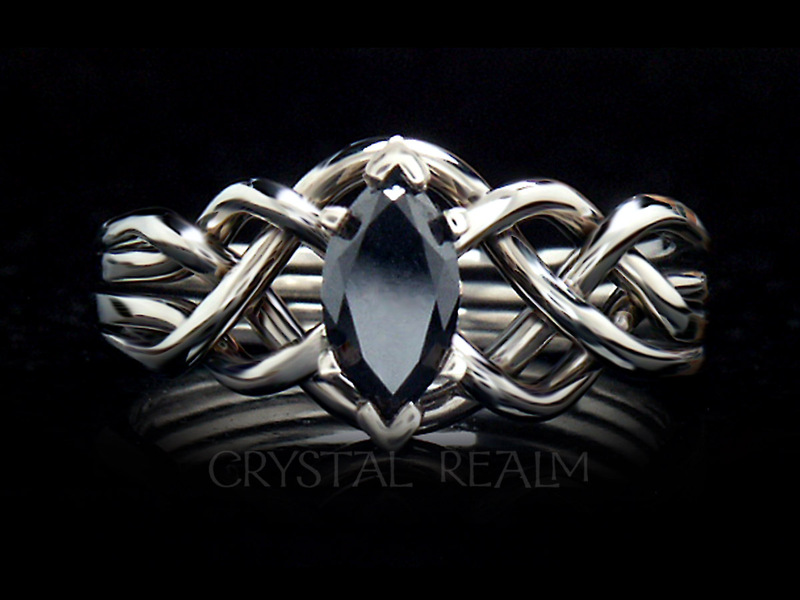 Puzzle ring weave: The diamond ring on this page has a standard weave. 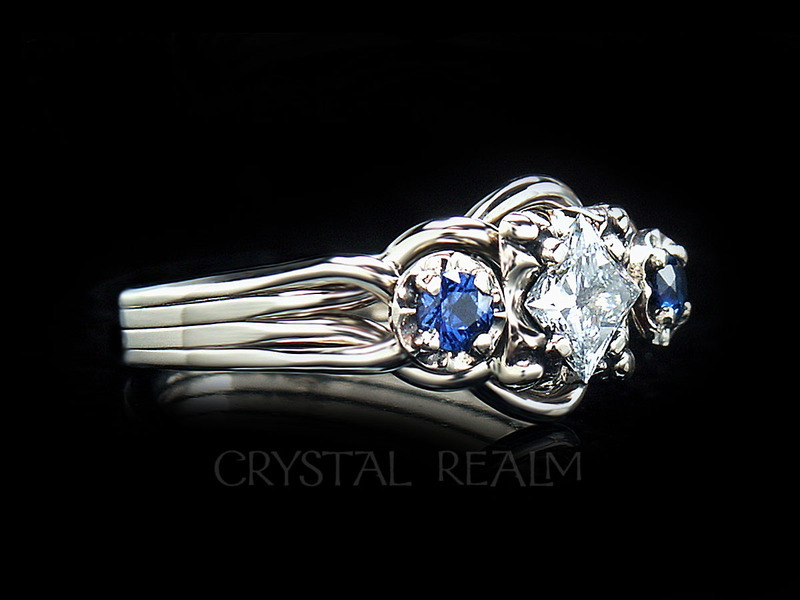 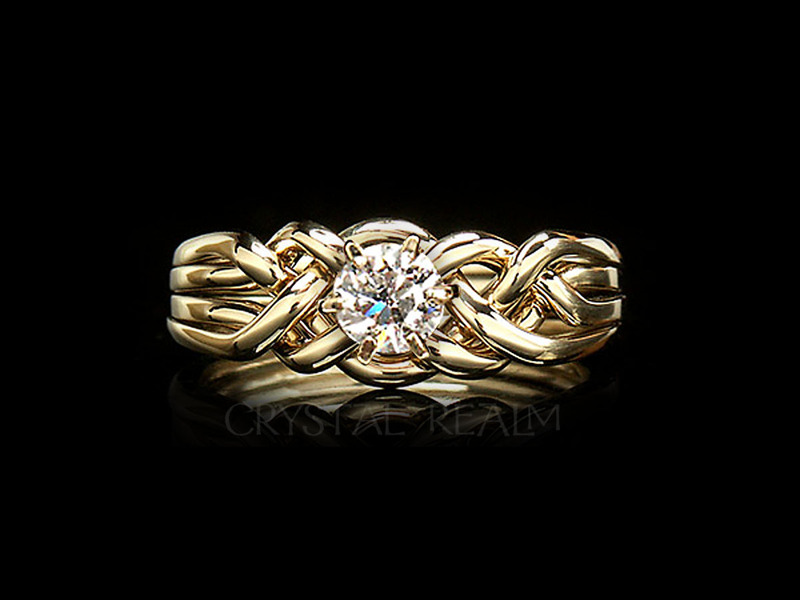 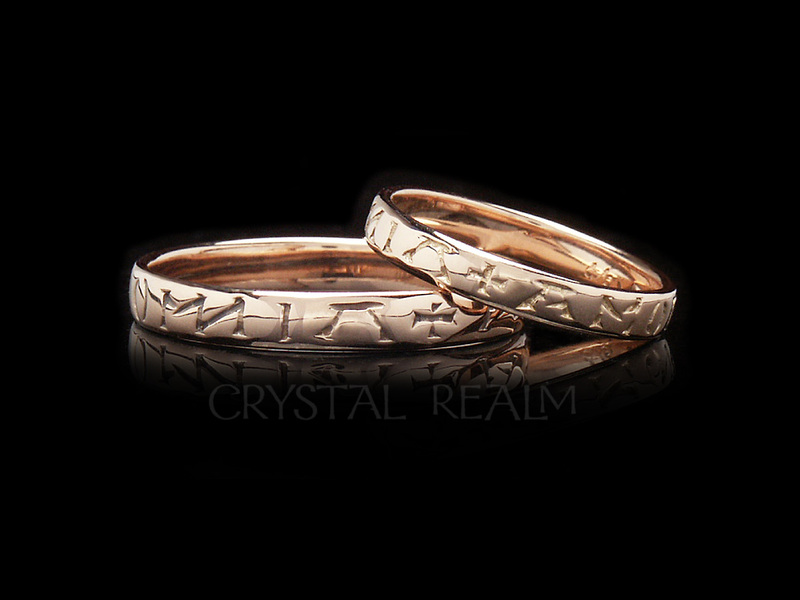 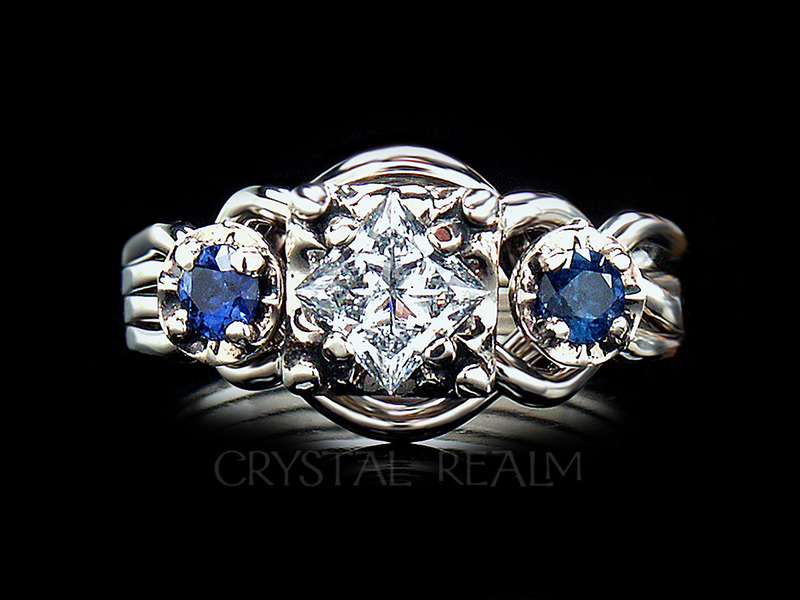 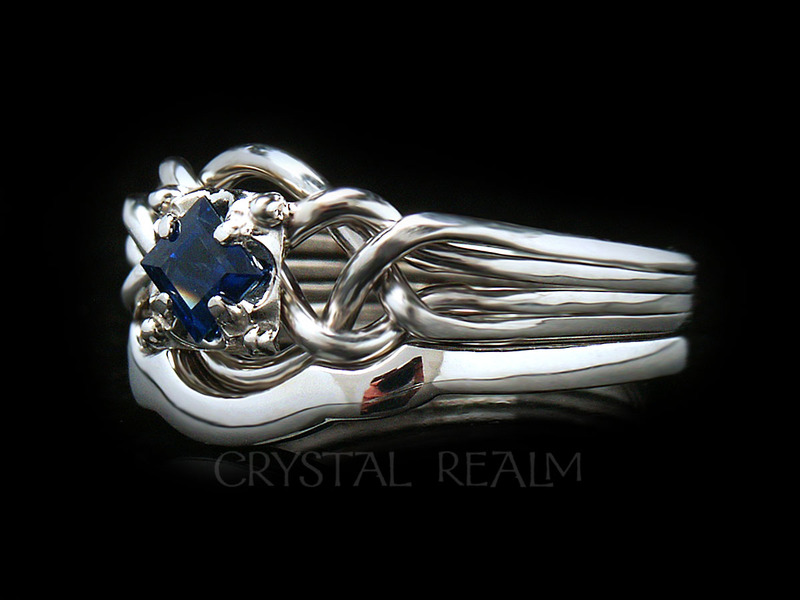 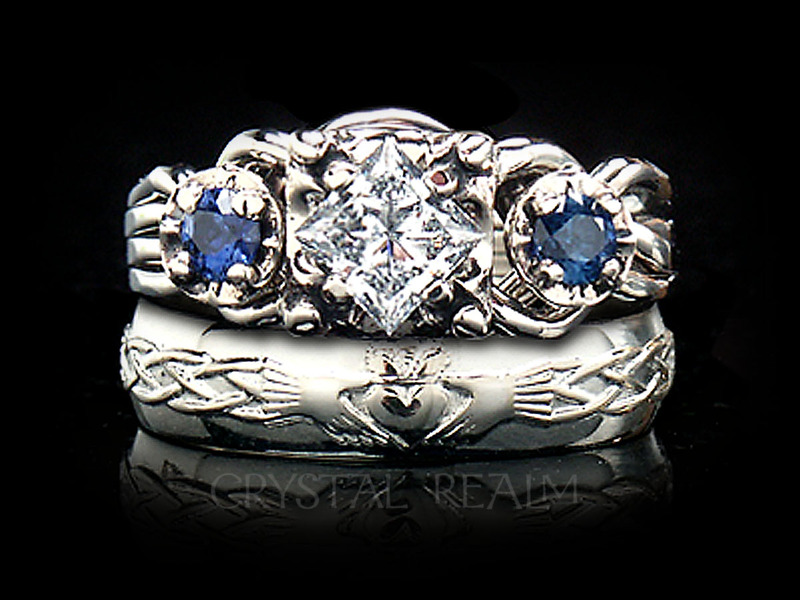 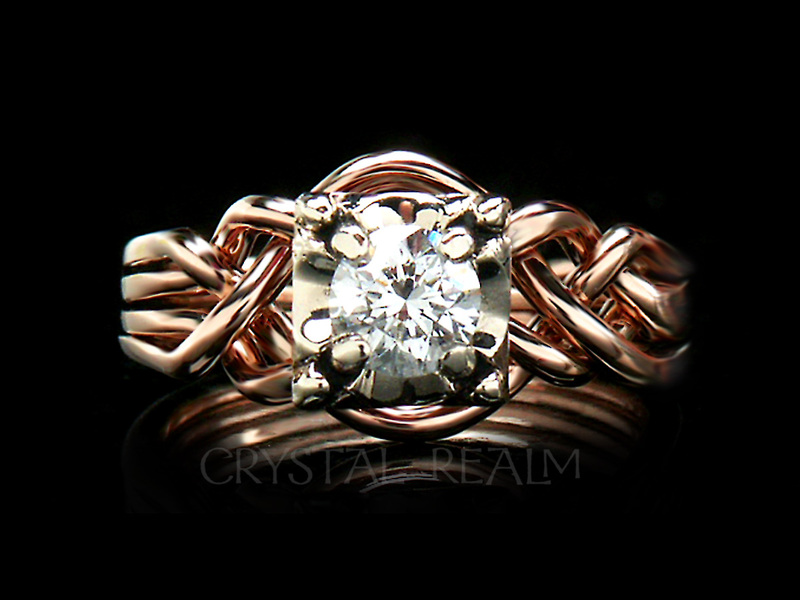 The Athena diamond puzzle ring artisan-crafted in the U.S. and offered exclusively by Crystal Realm.